This DeltaRP84977 is an escutcheon assembly. It comes with a chrome finish. This easy-to-maintain chrome finish gives a glossy, sparkling, and mirror-like appeal. 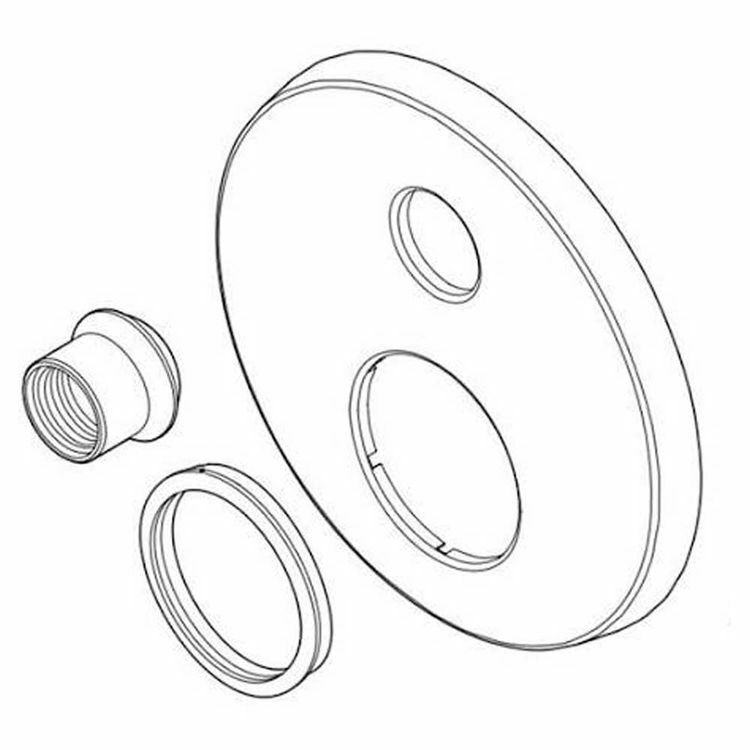 This escutcheon with a valve seal is designed for use with the 6-setting diverter in the Delta 14 series valve trim (T24959). It is also available in brilliance luxe stainless (RP84977SS) and Venetian bronze (RP84977RB). Delta Faucet Company is a market leader in manufacturing residential and commercial faucets and other products for the kitchen and the bathroom.Transforming the way you feel everyday with their simple solutions and innovations, Delta Faucets continue to improve your daily experiences with water. Shipping Dimensions 8.0" x 3.5" x 7.4"
Shipping Dimensional Weight 1.17 lbs.